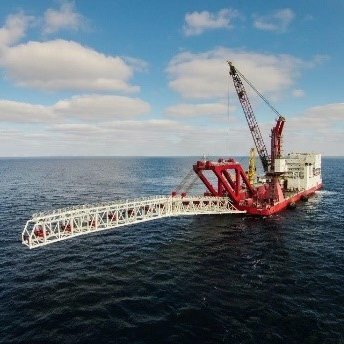 Ropeblock has quite a reputation among crane manufacturers and end users as a worldwide solution provider for offshore applications, like subsea knuckle boom and mast cranes, active heave compensations, pipelay systems and heavy lift cranes. Our products are typically applied in supply vessels, heavy lift and pipelay vessels, FPSOs and rigs. Besides a wide portfolio of proven quality (stock) products we Smart Engineer and build any type of block, sheave or other crane part, with clever design and cost efficiency guaranteed. When engineering products and solutions for the offshore industry, safety, quality, finish, and design rules (e.g. ABS, DNV, API, etc.) are among our primary concerns. We are very much at home in the realm of certifications and have direct access to all relevant bodies. With our customers we aim for long term mutual commitment. 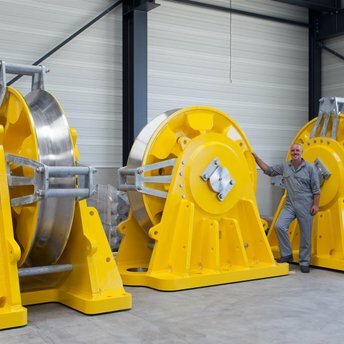 Riser pull-in sheaves for FPSO Turritella. 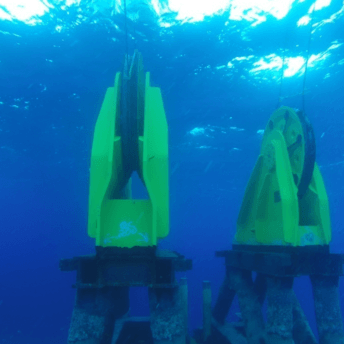 This was for the Stones project, Gulf of Mexico, 2,900 metres deep.